Christina is one of 46 women elected to the Massachusetts House of Representatives on November 6, 2018. Christina has lived most of her life in the 14th Essex district and has spent her life giving back to the community that has been so giving to her. 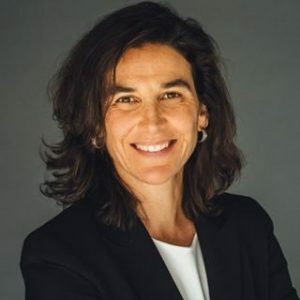 She most recently served as Vice-Chair of the North Andover School Building Committee, was a member of the North Andover Master Plan Advisory Committee, and the Expo Coordinator for the Feaster Five Road Race. Christina is also an active member of the Franklin School PTO, North Andover Parent Advisory Council (NAPAC), her local Boy Scout Troop, and the Merrimack Valley Striders running club. She is a former member and Vice President of the Greater Lawrence YWCA Board of Directors, and spent many years as a sexual assault hotline advocate and peer educator. She has spent the bulk of her professional career in commercial and multi-family housing development and construction. Christina and her husband, Eric Loth, are raising their two sons and one daughter in North Andover. Christina has a BA in Spanish from Bowdoin College, an MBA from Suffolk University, and is a graduate of the Advanced Management Degree Program at the Harvard Graduate School of Design.